St George’s Shopping Centre, Preston, held their annual ‘Student Session’ on Tuesday 25th September and welcomed nearly 4,000 students from UCLAN, Preston College and further afield. As well as the all-important retailer discounts, attendees were drawn to the Student Session by the lure of a £1,000 cash prize, headline act Love Island winners, Jack Fincham & Dani Dyer, brand promotions from the likes of Papa Johns, L’Oréal & J D Gyms as well as exclusive offers and giveaways from local attractions. Shoppertainment provided an incentivised ‘Loaded Lockers’ game to ensure benefits were felt by retailers rather than the night being all about the free giveaways. 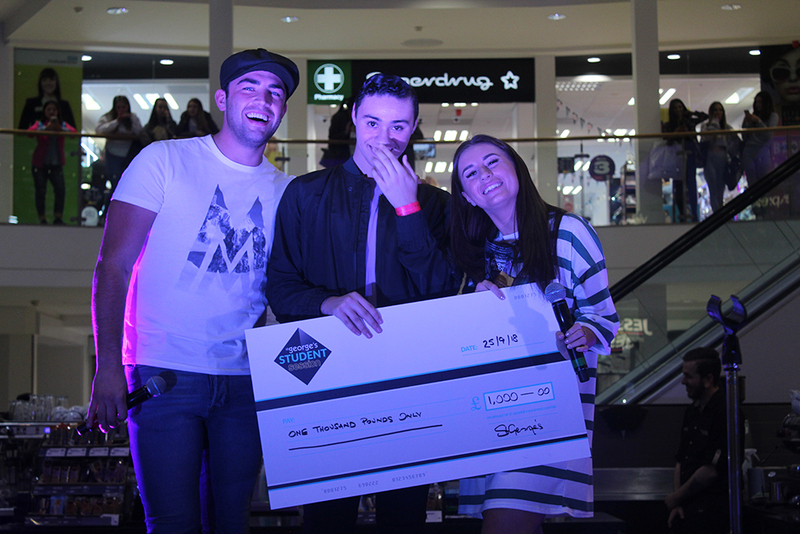 Local DJs from popular nightclubs in the city, Pop World and Evoke, were on hand to promote their student nights. St George’s Student Session was carefully curated by our events and fusion team to be a multi-layered experience through giveaways, entertainment and brand promotions. Meanwhile, keeping retailer spend as the main objective. The night was given weight from the partnerships we formed with key stakeholders – from local clubs to driving schools- which are firmly within the interests of the audience. But, just as importantly, thanks to Shoppertainment’s national connections, we were able to add big brand elements. Events like this are great for shopping centres because they build an instant relationship with a target marketing and increase customer loyalty and retention. You can find out more about our shopping centre events events.